Cannabis News - EveryoneDoesIt Does it again! EveryoneDoesIt launches new website with a cool new design and features, and has become one of the biggest, best, most varied store. For the Launch, Loads of New Varieties have gone online this month! Genehtik a load of new strains have gone up! Royal Queen Seeds - 5 auto flowering strains. 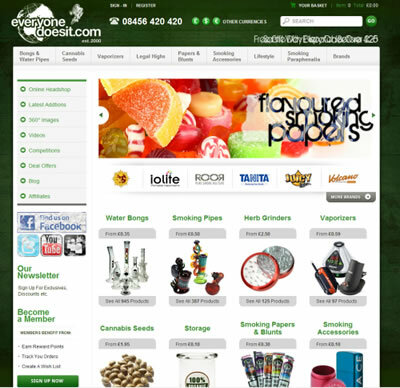 Grass O Matic autoflowering have also gone on the website. Emerald Triangle a new and exciting east coast seedbank with loads of new varieties. Cali Connection have also launched a series of "Jamaican" themed seeds.